Islands face huge challenges in supplying energy to their citizens affordably, as they do not have the resources such as coal(NYSEARCA:KOL), gas (NYSEARCA:UNG) or oil(NYSEARCA:USO) to power their electricity generation plants. Most islands typically run on diesel fired small power plants which are exorbitantly costly. Not only is the raw material costly, but transporting the diesel from the mainland to the islands also adds to the costs. The price of power generation can easily reach 30 cents/unit. On top of the costly power, the diesel generation also contributes heavily to water and air pollution plus adding to carbon emissions. Before solar and lithium battery technology improvements, there were not many options to supply cheap and green power. At best you could use natural gas which again would have to be imported. But now with solar power becoming super cheap and battery costs also coming down sharply, you can generate power at 11 cents or below. AES has recently commissioned a huge 28 MW solar power plant in Kauai with a massive 100 GWh of storage. AES will supply power to Kauai Island Utility Cooperative at just 11 cents/kWh and meet the peak power demand during the evening hours as well. The unique aspect of this power plant is the huge size of the battery at 100 MWh which means that the battery can supply 20 MW for 5 hours which is good enough to make it almost as good as a normal conventional plant. There are already plans to replicate this solar plus lithium battery plant in multiple islands. Solar plus storage plants are becoming cheaper and cheaper by the day. Unlike islands, most of the plants built on mainland do not require such high battery capacity and can be built at much cheaper costs. Also given the fact that both battery and solar panel costs are coming down each year, the day is not far when solar plus storage plants can supply power competing with coal and gas plants. This will end the coal age and also make natural gas useless for power plants. 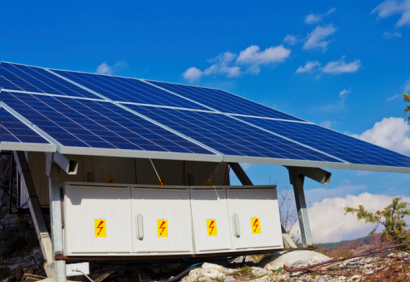 For islands, solar plus storage has become their savior in saving huge energy costs and also delivering green power which can preserve the ecology from the deleterious effects of pollution.